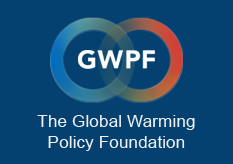 The average prediction by GWPF readers was 0.59°C, and the median was 0.63°C. GWPF readers therefore did quite a lot better than the paid experts at the Met Office. A year ago, we asked readers to predict how global temperatures would evolve over 2018, for a chance to win a bottle of House of Lords whisky and a copy of Bernie Lewin’s history of the IPCC. GWPF readers, no doubt attracted by the educational possibilities of the book rather than the more prosaic pleasures of the whisky, came in great numbers and we ended up with a large number of entries. To add a little spice to the recipe, the Met Office had issued their own prediction, so this was also a chance for readers to pit themselves against the professionals. The Met Office had rather hedged their bets though, issuing a very wide range of predictions for the HadCRUT4 temperature anomaly, of 0.59–0.83°C. It was rather tougher for readers, who were asked to submit a single figure instead. And as I said at the time, the central point of the Met Office prediction, 0.71°C, did look rather hot. The graph below is a histogram of the GWPF entries, so the height of the bar is the number of people who predicted each temperature anomaly value. So the most popular prediction was for 0.68°C, although, as you can see, there were entries over a much wider range than that. The shaded area is the range predicted by the Met Office. By October, things were certainly not looking good for the big boys in Exeter, with the August anomaly, at 0.58°C, already outside their predicted range. Meanwhile, no fewer than eight GWPF readers were quietly polishing the cut-glass tumblers in anticipation of glory. So here we are in the New Year, and the results are out. And fortunately for the Met Office, a somewhat warmer autumn has allowed them to pull mild respectability out of the jaws of disaster: the official value of the HadCRUT4 average is 0.596°C, which we are rounding to 0.60°C for the purposes of the competition. This means the experts’ prediction range just takes in the outturn.And that means we have a single winner. Congratulations to Frank (for that is his name). We will be in touch soon to arrange delivery of his prizes. It’s interesting to note that the average value entered by GWPF readers was 0.59°C, and the median was 0.63°C (see graph below). GWPF readers therefore did quite a lot better than the paid experts. Shall we see if we can do a repeat performance for 2019? The competition is up and running here.